I used to play dating sims in the past and I stopped doing it, but I found this one and decided “why not?” once again. 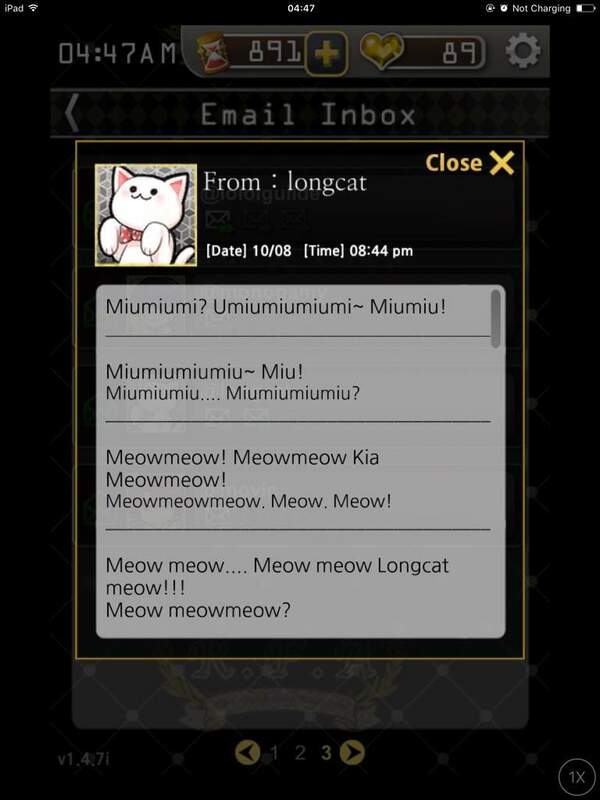 Mystic Messenger is a South Korean female-oriented visual novel game, developed and published by Cheritz, that released for the Android and for iOS in 2016. I’ve played this for iOS on an iPhone. The game starts out with you, the main female character, finding a phone on the ground with a couple of missed calls and text messages. You suddenly get a text message and it’s from an unknown user. They tell you to take the phone to a studio apartment. Once you get to the apartment, you suddenly connect to a mystic group chat with attractive guys. 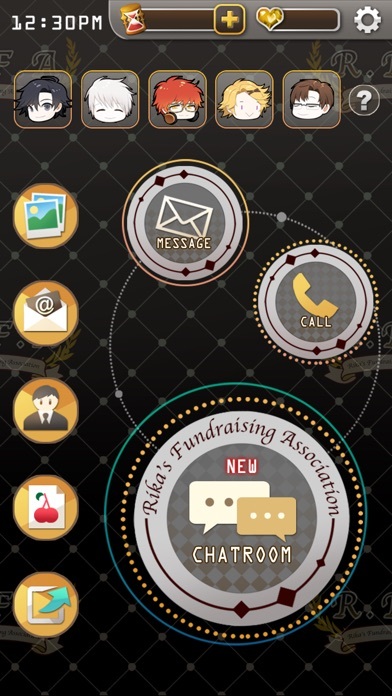 After chatting with the guys, they ask you to join their secret party planning association called RFA. The beginning of the story is the Casual Story, which is one out of three modes in the game. The other are Deep Story and Another Story. 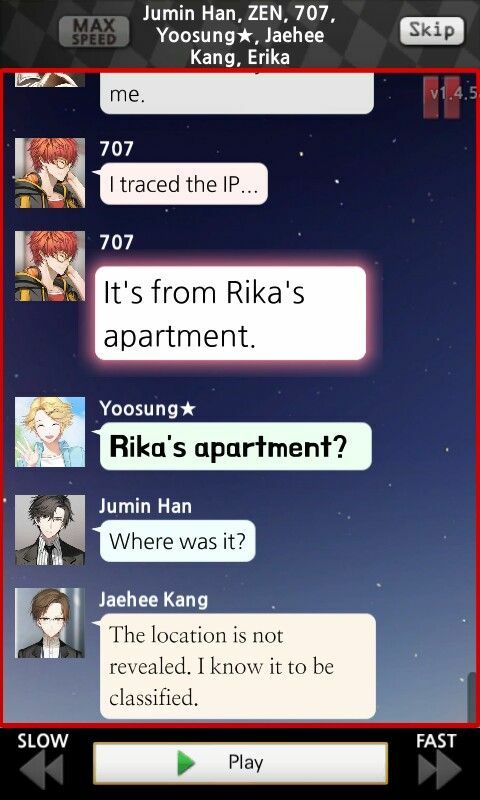 In the Casual Story, you can obtain the routes of Yoosung, Zen, and Jaehee Kang depending on their responses in the chatroom during Days 1-4 of the game. 707 and Jumin Han are only in the Deep Story and you have to finish the Casual Story first. The chatroom will have automatic options to choose from to reply in the chat. There is also a Chat Room Timer, in which an open chat room will last until the next timing when another chat room will open. When that happens, you won’t be able to participate in the expired chat room unless you have 5 Hourglasses to make the chat room available again. Some days and routes will have a visual novel mode, which will be told in first or third person view. There are also text messages, emails, and phone calls from the characters in the game. The text messages resemble a real text messaging system with choices that you can choose from. Phone calls will be an incoming call from one of the characters. If you answer the call (headphones are recommended), that character will talk to you, but you won’t be able to reply back. They do speak in Korean but there will be subtitles. There are also emails to invite guests to the party. Your goal is to invite as many guests as possible and in order to do that, you need to answer their questions correctly. Overall, this game is hilarious and really cute but from what I know, you have to buy Hourglasses to continue the story and that’s a lot of Hourglasses, especially if you missed a chat room. I liked this game though. It’s different with the phone calls and group chats, but I really enjoyed it. ← Check out the new PROJECT: Hunters Vayne, Jhin, and Vi skins! !